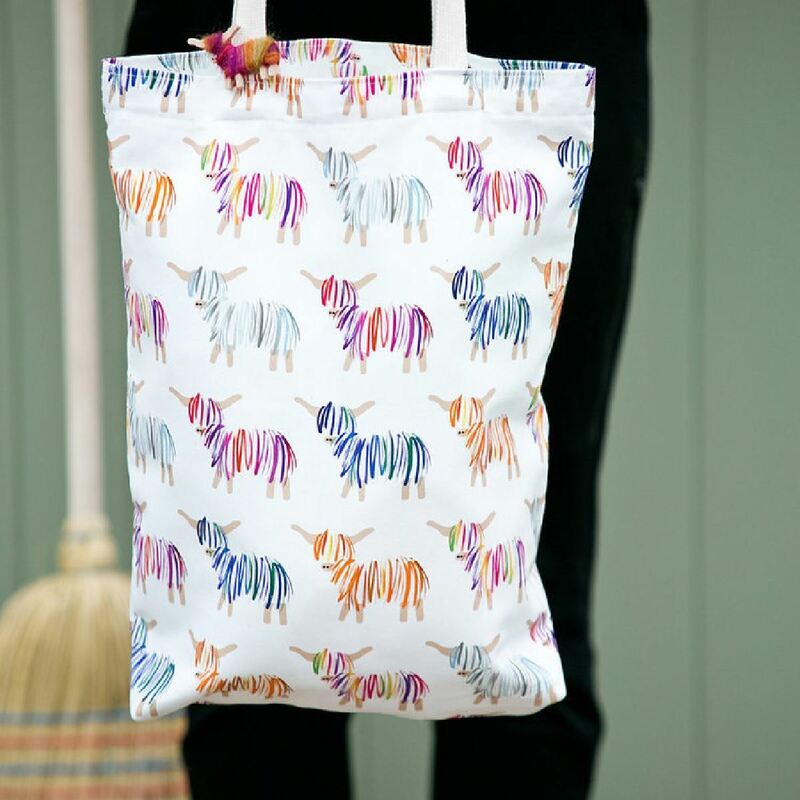 Be noticable with this eye catching, 100% cotton tote bag. Its thick canvas handles and quality construction make it an ideal bag for daily use. Hairy Coo range also available as: Coo Apron, Coo Tea Towel and Coo Zip Bag.